Abstract: Modern computer networks are complex and difficult to manage due to complex interactions between different protocols and other dependencies. Keeping track of how network behavior changes with configuration updates and updates received from external sources need substantial time and effort by network operators. In this tutorial, I will present some of the challenges in network behavior analysis, and why traditional approaches fall short of providing a good picture of the current state of the network. Then, I will present a brief overview of data-plane verification, a new technique to capture network behavior with better accuracy than traditional approaches. Using some network misconfiguration examples, I will demonstrate how data-plane verification can assist network operators to detect problems in their networks with more confidence. Bio: Ahmed Khurshid is Co-Founder and Principal Engineer of Veriflow. 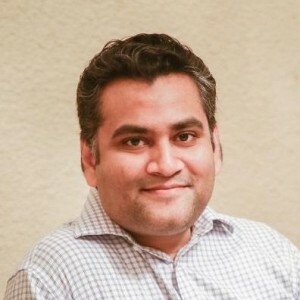 He received his Ph.D. in Computer Science from University of Illinois at Urbana-Champaign (UIUC) in 2015, where his research work focused on improving security and availability of networked systems. He has worked in the area of formal verification of networks for over six years. He designed and built the first real-time data plane verification system, described in a publication that has hundreds of citations. Dr. Khurshid worked on novel cloud computing infrastructures and SDN frameworks while at Microsoft Research and Cisco Systems, respectively. Before joining the UIUC Ph.D. program, Dr. Khurshid worked as a lecturer in the Department of Computer Science and Engineering (CSE) at Bangladesh University of Engineering and Technology (BUET) for three years. He also worked as a CNAP (Cisco Networking Academy Program) instructor for over a year teaching network configuration and troubleshooting. He received the International Fulbright Science and Technology Ph.D. Award in 2008, HotSDN best paper award in 2012, and was recognized for the Illinois Innovation Prize 2015. He completed his Bachelor’s and Master’s degree in CSE from BUET, Dhaka, Bangladesh. Khondkar Islam is an Associate Professor and Associate Chair for Undergraduate Studies in the Department of Information Sciences and Technology. Dr. Islam is the Coordinator for the Networking Concentration. 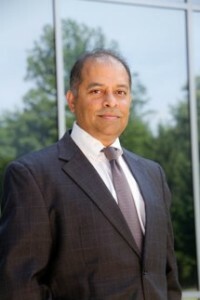 He is also the founder and director of the Virtual Academy (VirtAc) at George Mason University (GMU). His research interests include distributed and peer-to-peer systems, overlay and wireless networks, network security, and distance education for instructor training and student learning. Dr. Islam earned his Ph.D. and B.S. at George Mason University, and M.S. at American University.